Does sound a bit pretentious does it not? Sunday at the Castle. As if everyone does it! For all the time I have lived here, this was my first visit to partake of tea at Glen Eyrie Castle in Colorado Springs. My most lovely massage therapist, sanity keeper and friend had suggested this for some time and thank goodness she took matters into her own hands and made the reservations! 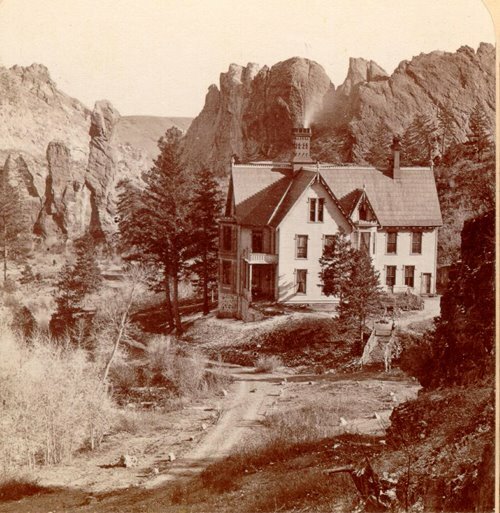 Glen Eyrie Castle, home to the international Navigators Ministries, was originally the home of William Jackson Palmer, the founder of Colorado Springs, and the Denver and Rio Grande Railroad. 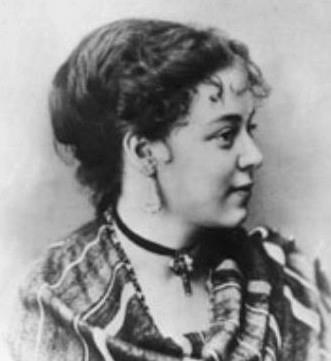 His beautiful wife, Mary Lincoln "Queen" Mellon, is one of the most misunderstood women of local history, but that is another story. We sat facing Queen's Canyon a favorite hiking trail of Queen Palmer. Unfortunately due to damage from the Waldo Canyon fire and subsequent flooding, this trail may never reopen. My son encouraged me to go on this hike and I am so sorry I didn't make the time to do it. Case in point of do not put things off until tomorrow what you can do today! The tea was amazing, delicious and so much better with such beautiful company. One deserves to treat themselves to little touches of elegance in this often fast paced world we live in today. Time to sit back, listen to soft warm breezes blowing through the pines, listening to jays calling back and forth, and just taking the time to breathe and relax. Looking forward to our next adventure as we have decided to allow ourselves to be treated once a quarter to a bit of elegant indulgence. I think I'm worth it, and I know you are too! If you would like more information on Glen Eyrie select the link below! Lovely time, company, food and venue! We will return for another day of comforting pampering!